Palm trunk vessels | Optimism and Co. The idea was to create a set of vases to set off large fronds of palms, no flowers required. This is a test set of flattened coil vessels inspired by the trunks of the palm trees you see everywhere in Singapore. The rings in the trunks are repetitive in such a modern way, and yet so tactile; I always want to reach out and feel its roughness on my palm (no pun intended). 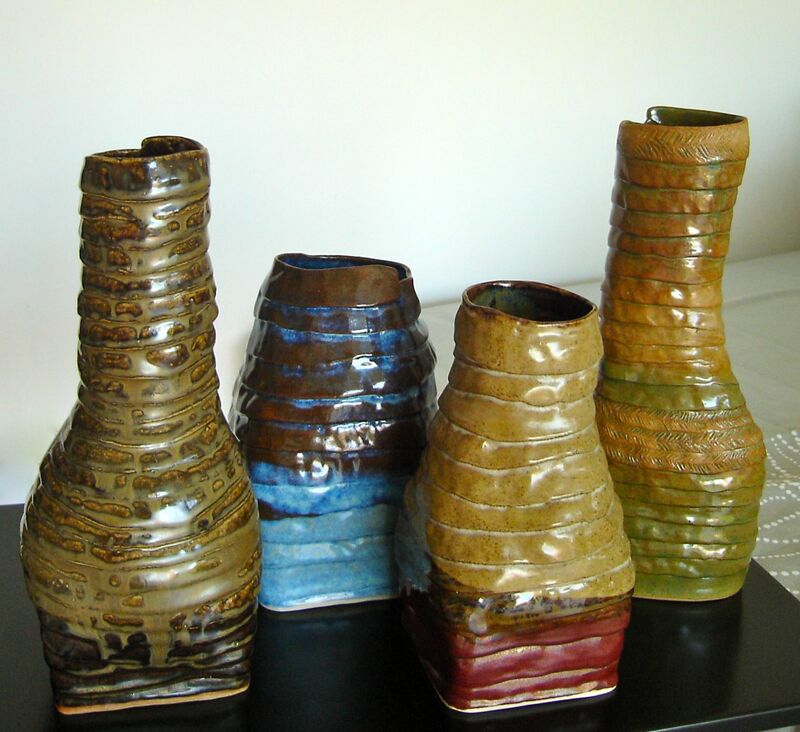 The two on the left are made with white and toasted clay and a single colour glaze – the two toned effect is the result of the glaze on two types of clay. The vessel on the right features a long oval base that demanded a little more hand control to maintain the shape as I built up, but the result was that the body fits snugly in my hand when I held it, giving it a lot of potential as a drink holder of some sort.